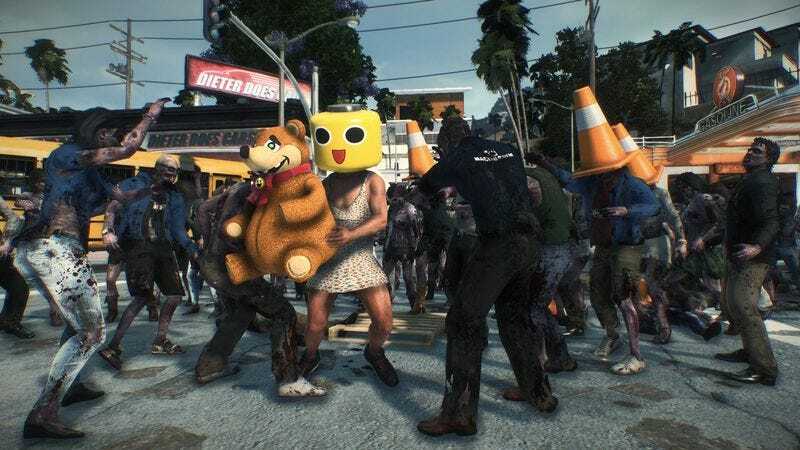 The genius of Dead Rising is that it’s essentially (if not officially) Dawn Of The Dead: The Video Game, an idea that brings all the best things about video games—namely getting to shoot a whole bunch of stuff in the head—to a well-established genre with a bloodthirsty fan base. That great idea has led to two sequels with over 6.5 million copies sold worldwide. But now Legendary Pictures is stepping in to make Dead Rising just a boring old zombie movie again, producing a movie based on a video game inspired by movies through its new digital division. Legendary Pictures is the studio that produced Christopher Nolan’s Dark Knight trilogy, which seems promising until you consider that it also produced The Hangover Part III and a couple of Zack Snyder movies. Also diminishing enthusiasm somewhat, Transformers producer Lorenzo di Bonaventura has signed on to executive produce. But Legendary does know its audience, and will stream the Dead Rising movie through Sony’s Crackle service before releasing it to VOD and DVD. That way, viewers won’t even have to switch controllers when they get bored with watching other people kill zombies, and decide to switch back to eviscerating the undead bastards with a chainsaw themselves.